Announcement Hi, and welcome to my shop! 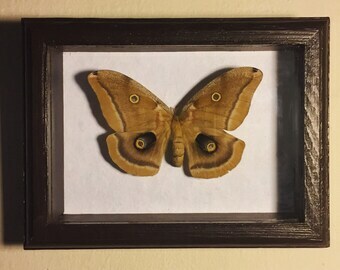 I'm a graphic designer/illustrator based in the Bay area with a deep-rooted passion for insects, biological preservation, oddities + curiosities. I'm trained in both taxidermy and entomological collection/preservation, but generally what you'll find here are insects and various antiques I've found at estate sales. If you have any questions, please don't hesitate to ask. Thanks for visiting! Hi, and welcome to my shop! 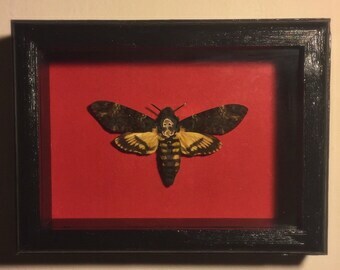 I'm a graphic designer/illustrator based in the Bay area with a deep-rooted passion for insects, biological preservation, oddities + curiosities. 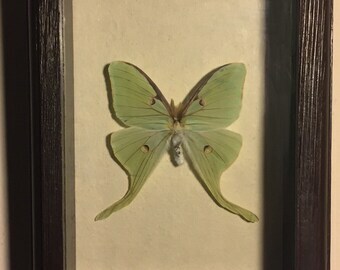 I'm trained in both taxidermy and entomological collection/preservation, but generally what you'll find here are insects and various antiques I've found at estate sales. If you have any questions, please don't hesitate to ask. Thanks for visiting! Bought this as a gift for a dead friend, she was so excited!! Thank you!! Was so excited to get this! Looks even better in person and made the perfect gift! Very pleased with the whole experience! White witch moths are coming to the shop soon! Stay tuned. Please read the care instructions provided! All of my specimens are shipped with care instructions on the best practices for preserving them, ensuring that they last you a lifetime! All of my specimens are placed in a relaxing chamber with heavy cleaning agents prior to being pinned in order to prevent mold growth and/or bug infestation. However, sometimes this is unpreventable, depending on its storage and/or display environment. Unfortunately, I cannot replace your insect if any damage occurs due to environmental factors such as high humidity or extended exposure to sunlight, as I don't have control over these conditions. I do my *absolute* best to pack the frames with as much protective material as possible, and cover the box with "fragile" stickers, but sadly, this still can happen in transit. 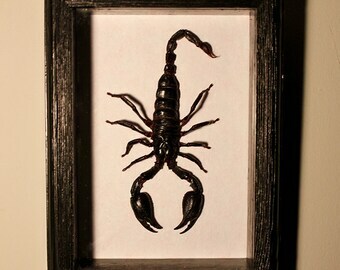 I offer free repairs and/or replacements if you take a photo of the frame ***within 24 hours*** of receiving your order. In this case, I cannot provide a full refund, but am willing to negotiate a replacement or offer a free repair, provided that the specimen is safely shipped back to me (I'll cover the return postage). Customs fees/duty taxes/VAT (Value Added Tax) are the buyer's responsibility and are paid by you to your customs department. I have no way of collecting this tax or have anything to do with this tax, as it is solely based on your Country and Customs. I mark all my packages as "artwork" and put the invoiced value on them. Refunds will *not* be given if packages are not called for or refused because of import taxes being levied.